Carpet Cleaning San Clemente – Service and Surfing. San Clemente is the most southern point on the map of Orange County California. In addition, San Clemente is the home for many surf loving ladies and gents. Being a beach town, like many other Orange County beach town has its perks. However, living and the loving the beach definitely has some aspect we need to address more carefully. Normally, when most of you attend the beach regularly you bring home some sand. Moreover, quite often the equipment you bring back home with you is wet. Therefore, when combined together we get a sandy or muddy home. In addition, when it gets into the carpet, we get a lot of black spot pooping up. In that case the next thing you should do is search for the best carpet cleaning San Clemente. Please contact us for more information about carpet cleaning San Clemente solutions. How many of you have pets in the house? The Orange County beautiful weather and the local dog beach provide a great atmosphere for growing a happy dog or cat. With the experience Dr. Carpet Irvine has gotten over the years, most of you have pets. When we have pets in the house, they also manage to bring some dirt from the outside. Moreover, pets have the tendency to urinate or poop in our house as well. 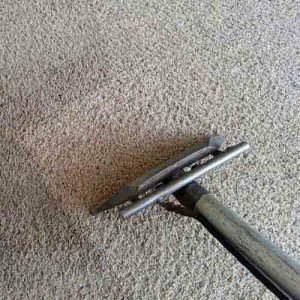 By doing that and leaving pet stains on the carpet, they increase the need for a carpet cleaning San Clemente. More than just carpet cleaning San Clemente.